You all know that I spent time in jail. Well, this time it's even more serious. I blatantly broke the law on Tuesday. I did not take my children to school. On Veteran’s Day the princess will have her 11th birthday. The soon-to-be birthday girl wanted to go to Disneyland. A few years ago we went on her birthday and it was SOLD OUT. Weekends are a nightmare at DL. So, we committed the crime! Can you believe how empty it was. The most we waited to go on a ride was 10 minutes! Now That's one crazy kid! It was a wonderful day at Disneyland! This time of the year is my favorite time to visit the park. The great thing is no lines or crowds but some of the rides may be closed for repairs. All in all, looks like she had an amazing time. OK, I had to go read about your criminal history since I'm a relatively new follower. You've lived the life- that's for sure! And skipping a day of school is totally worthwhile when you're going to Disneyland! Fun! And Happy Birthday to the 11 year old, wow-11! Omg, how fun!! It looks like you all had an awesome. Oh, How I wish we lived closer to the "Magical Kingdom"!! Happy birthday to your sweet daughter. My husband's birthday is also on Veterans Day!! p.s. I added you to my side bar, hope that okay!! Awesome!!! Happy Birthday to your darling daughter!!! OK, so you are now on the TOP 5 Coolest Moms!!! Happy birthday to your little girl! Glad you all had so much fun celebrating! What a great birthday treat for your family! Now that's a birthday!!!! You're my kind of mom! My gmother & her twin will be 84 on 11/11. By all means, you should always skip school to do Disney! Glad y'all had a fab time. Making memories is lots more important than 1 day of school. Eleven on the 11th, that is pretty cool! Happy Birthday Princess. Looks like you had a awesome time. I am really getting to love that place. I want to go and see it for Christmas decorations. You know how I feel about all things Disney! I'd love to come out there to visit DL one day. You can give me pointers. Oh what fun Julie! It sounds like it was a well qualified day away from school. The teacup ride was always my favorite. I'm glad you guys had so much fun! Your are an awesome mom for doing that!! And you know, this will be a memory she will always remember!! 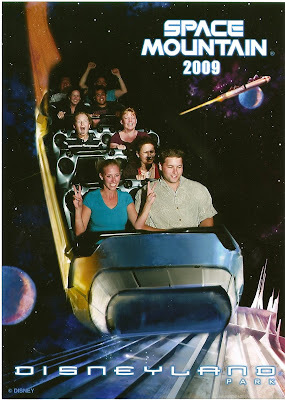 We went to Disneyland a couple years ago at the beginning of November and we could NOT believe how empty it was. We were able to get on rides without waiting in line and we'd get off and then go right back on again! Good for you, way cool mom! What a wonderful memory she will have. YOu are the bestest mom. How fun for the family & what a way to celebrate your birthday. Happy Birthday Beautiful princess! I also recently posted about a crime I committed, only I think mine was actually a legitimate offense. Frankly, it would have been criminal if you did not go to DL in middle of the week. You're such a cool mom!! What an awesome b-day gift! Looks like you guys had a great time! Wish we lived close enough to DL to just pick up and go one day!!! Hope your Princess has a very happy birthday!! one of my best memories was when my mom got me out of school early! way to be an awesome mom like that! Two years ago Nov 2nd I also broke the law and flew to the DL from Portland to celebrate my daughters birthday. I not only broke the law but add to that lying because the school called me on my cell to ask why my daughter was not in school. I replied from the OC airport "Im so sorry we have had a family emergency and she will not be at school today". Well I guess I wasnt lying. We had an emergency need to enjoy some sunshine.